We're switching things up around here. For the next couple of weeks, instead of writing about a particular topic, we're writing about each other. We've fired up the ol' randomizer and received our assignments. So instead of tuning in today to read what Sophie has to say, you get to read what Adrienne has to say about Sophie. My husband and I love to watch Ocean’s 11 together. Sometimes it seems like half of what we say to each other is recycled dialog from that movie. One day--I think we were on some long car ride--we played a game trying to figure out which character we were the most like. From the beginning we admitted we wanted to be Danny Ocean. Sure, we would have settled for Rusty, but dear god, we wanted to be Danny. 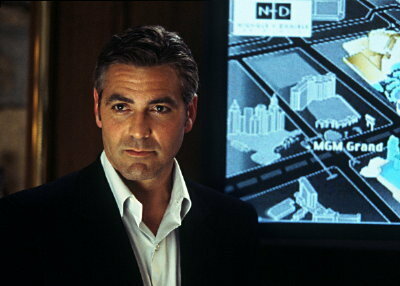 Everybody wants to be Danny Ocean. He’s cool, gorgeous, fabulously connected, and manages to keep everything together even when it looks like it’s all falling apart. But we just weren’t. At best, I was Linus Caldwell, though I think that my husband was being generous with that one. I’m really more of a Livingston Dell. And, yes, if you don’t watch Ocean’s 11 on a weekly basis, I’ll wait here patiently while you Google who these people are. But here’s the thing, Sophie is Danny Ocean. She’ll tell you that she’s not, but don’t you listen to her. She’s the real deal. Don’t believe me? By show of hands, if Sophie took you aside and asked you if you wanted in on this little heist she was planning, you’d at least think about it wouldn’t you. You, who have never stolen more than a couple of hair metal keychains from the Spencer’s Gifts when you were in Jr. High. Now replace heist with workshop at one of the dozens of conferences she jets off to every year. Or group blog. Or a volunteer position in any number local writing organizations. Yeah, you can put your hand down now. Twice as cool as Clooney. But you didn’t come here for movie analogies, did you? You want the dirty dirt, right. Well, I can’t give that to you. What kind of friend do you think I am? But I might get away with sharing just a few choice Sophie secrets. *Sophie is a freakin’ empath. I’m not kidding about this. The woman is scary good at reading the emotions of others. If you have met her for more than a few minutes, rest assured, Sophie Littlefield has got you pegged. Yeah, even you, Mr. Too Cool For The World. The second you opened your mouth, Sophie knew your every insecurity and deepest fear. One time over coffee, she read the whole story of my childhood by the way I ordered a bagel. Once again, not kidding. *Sophie is far more complex than any character from her books, and, as we all know by the quarter of bazillion award nominations she’s received, that’s no easy task. It’s no secret that Sophie likes scotch, and yeah, she’s from Missouri. But she isn’t Stella. What she is a delightfully complex blend of midwestern hospitality and brutal honesty. She likes to stay in luxury hotels, but drink in dive bars. She’s half five star restaurants and half nut-rolled cheese log. She’s kind but not a pushover. She’s honest, but never cruel. It’s a lovely tightrope that she walks, and one that makes her attractive to all kinds of people. Any time you see Sophie, she’s surrounded by people. I’ve only been to one conference with her, but I’m willing to wager that the only time she was alone that whole week was when she went to the bathroom. *Sophie loves to bring people together. 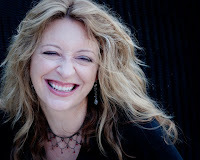 Romance writers and mystery writers. Thrillers, fantasy, sci fi, literary, doesn’t matter. We’re all just writers in Sophie’s mind, and we should all be welcome at the same table. It was that attitude that first really drew me to Sophie. And after a couple years of being able to call her my friend, I’ll freely admit it; if she asked me to help her rob a casino...check that, three casinos...I would totally do it. Adrienne, this is a beautifully written post, and absolutely dead on right. You've brilliantly captured Sophie's AQ -- Amazing Quotient. If Sophie is Clooney, can you and I be the brothers? "She’s half five star restaurants and half nut-rolled cheese log." I think that's freaking genius. What a gorgeous post. Well said Adrienne, my dear. Sophie's the rock star next door that we get to meet for bagels and hide from the majority of a fantastic party with. I think that just by proximity, that makes the rest of us the other ten characters in Ocean's 11, which makes us cool too, even if it means we're Turk Malloy. Seriously, at the risk of upsetting her adorable sense of humility, the girl rocks our world. My favorite quality is how she leaves everyone she meets feeling like they can do it too, whatever it happens to be. If the bay area writing community is a garden, then she is a fabulous horticulturalist--cross-pollination, watering, fertilizing, breathing space, pest control, my god, I keep trying to kill this metaphor but it won't stop.